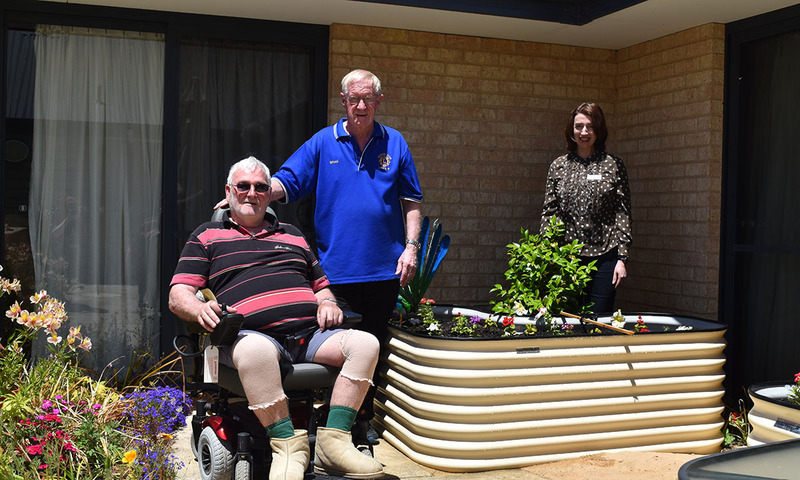 Baptistcare Mirrambeena Residential Care in Margaret River received the funding to make changes designed to enhance and promote activities for residents. The modifications were made after an environmental audit by Alzheimer’s WA, who, in collaboration with Baptistcare Mirrambeena, suggested the inclusion of visual cues to aid the cognitive function of residents living with dementia. Dementia enabling environmental principles are well documented and are used to focus on minimising confusion, supporting engagement and creating familiar and welcoming spaces. Baptistcare Mirrambeena’s Dementia Enrichment Officer, Julieann Ryan, said the funding was used to add new signage, indoor plants, garden art, park benches and new paint colours to differentiate particular spaces, making it easier for those with dementia to identify certain areas. She added that some of the funding was also used to commission photographs of historically significant scenes of rural and urban Margaret River. The specially selected images were enlarged and placed on canvas for display at Baptistcare Mirrambeena.